Visit the Delta region of California located between Sacramento and San Francisco. 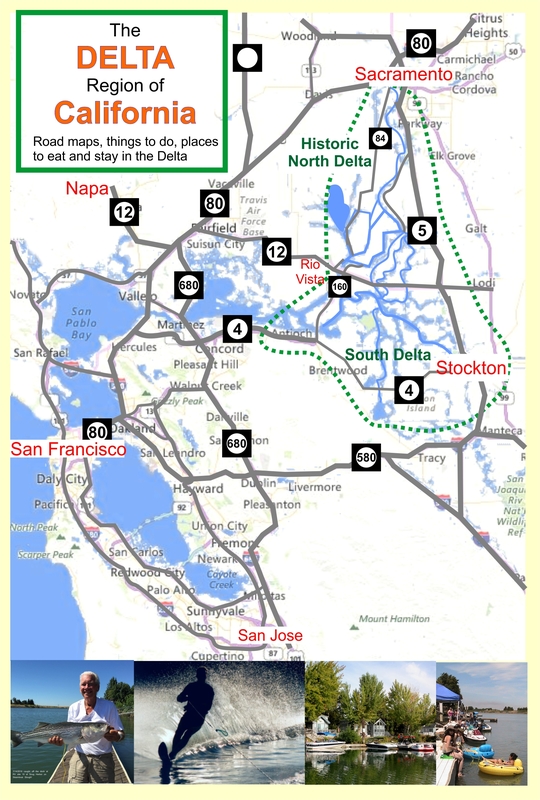 Here you will find maps developed by locals so you can find places to stay, fishing spots, biking trails, fresh produce stands, wine tasting, visit the historic Delta towns for shopping, museums, art galleries and restaurants, and find the rental cottages or RV or tent camping privately-owned marina-resorts. Original website first publishing 2002 with complete redesign for mobile phones in 2017. 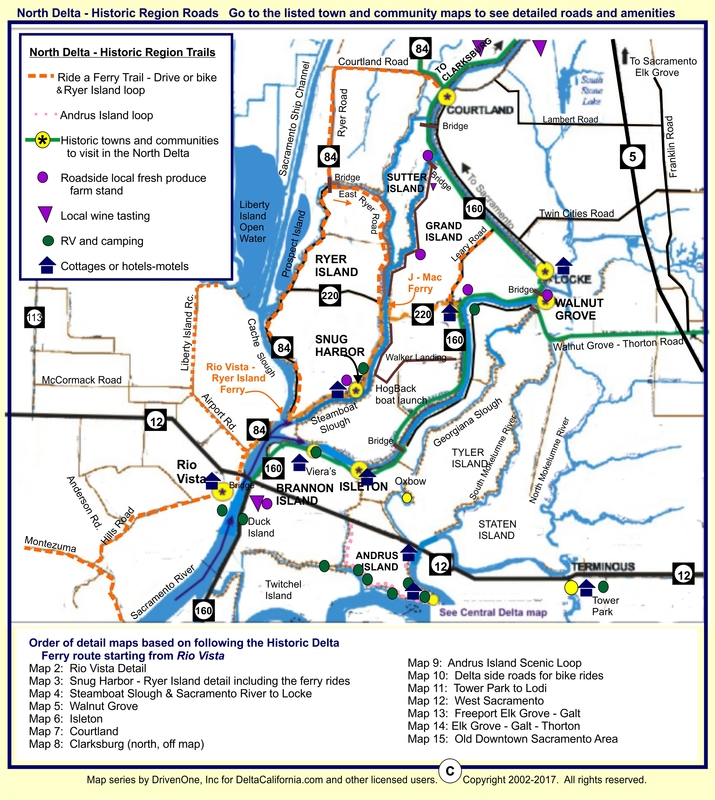 Delta area of California with road maps and towns along the Sacramento River, San Joaquin River, Mokelumne River, Georgiana Slough, Stone Lakes and more.